New work in progress - "Butterflies"
I've been working on a new piece as part of the "Natural Girl Series" during this holiday weekend. I started this piece quite a while ago, but being a first year teacher does not leave a lot of time for personal art work. I am looking forward to having the summer off and having a lot more time to create and experiment. 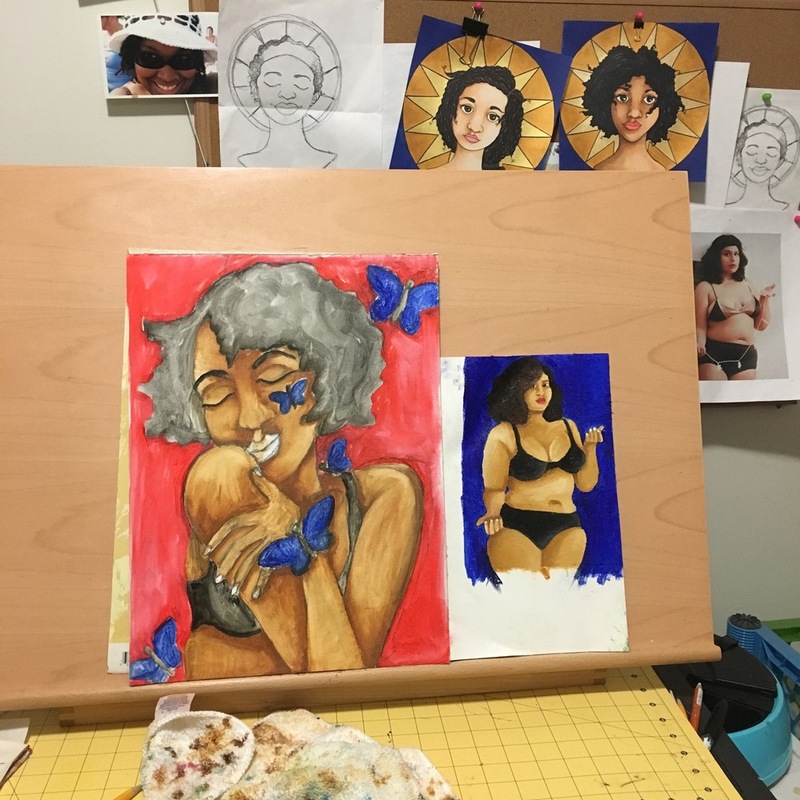 I miss the space I was in while I was in college and high school when I felt like I was boiling over with creativity and excitement about my art and I want to really work this summer to get back into a similar space. Working on "Girl With Pink Flowers"